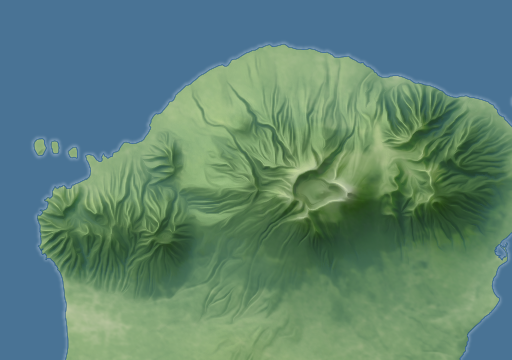 Relief rendering is one of the key elements of my maps and the generalized shading used is a fairly unique feature among digital maps available today. I developed some improvements in this field i want to introduce here. 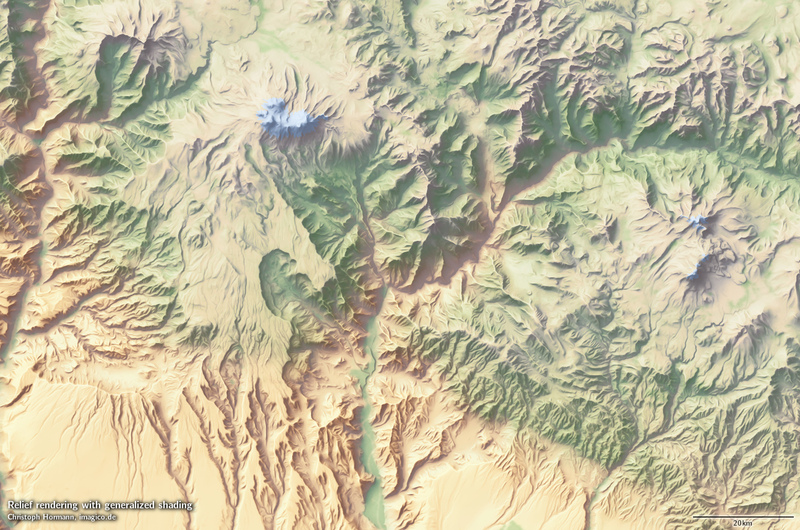 The purpose of generalization in context of relief is – like with most other natural features in maps – to eliminate small details too small to be properly displayed but to maintain acuity on those elements that are shown. The primary limitation of the approach i took to this has been that generalization is performed mostly on the shading level. 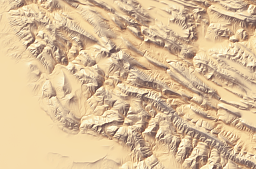 In shaded terrain rendering you can in principle take two approaches to generalization: generalizing the relief, that is the surface geometry model or generalizing the shading. The former probably seems the more universal and flexible approach but since shading is very selective in how it transforms 3d geometry into a 2d color representation is is very difficult if not impossible to process the relief data in a way that turns into a shading of optimal readability right away. When on the other hand you do the processing on the shading alone you won’t obtain very good results either since you lack the 3d information necessary to make the right decisions here. 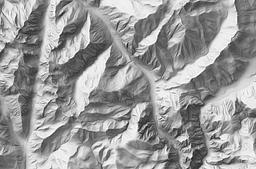 Shaded terrain display works because our brain has life long training in deriving 3d geometry information from shading information – i mentioned this in the context of shape-from-shading techniques before. But this perception is fairly sensitive and you can often fundamentally change the impression you get from a shaded display by only making a few tiny modifications at key points in the image. 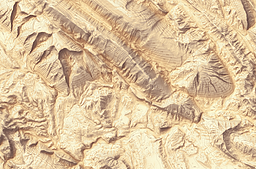 In other words: you can ruin a shaded terrain display quite easily when you attempt to make it better readable. This problem can be avoided when you consider both the shaded rendering and the original 3d geometry in the generalization decisions. Here an example how this works. 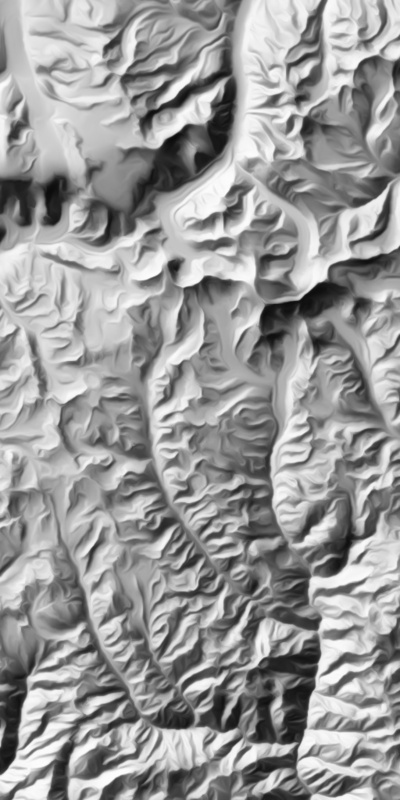 The first image shows shading produced using my old approach. 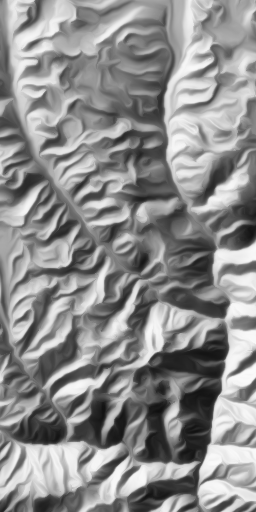 Shading itself already selectively shows terrain features with a certain orientation stronger than those in others. This can partly be counteracted using an adaptive lighting direction but the effect is still always there. 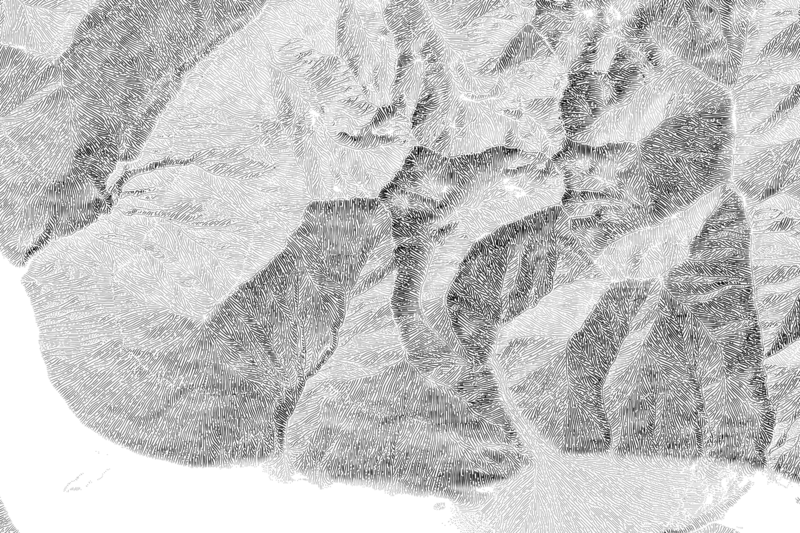 And generalization performed on the shading level tends to emphasize this. 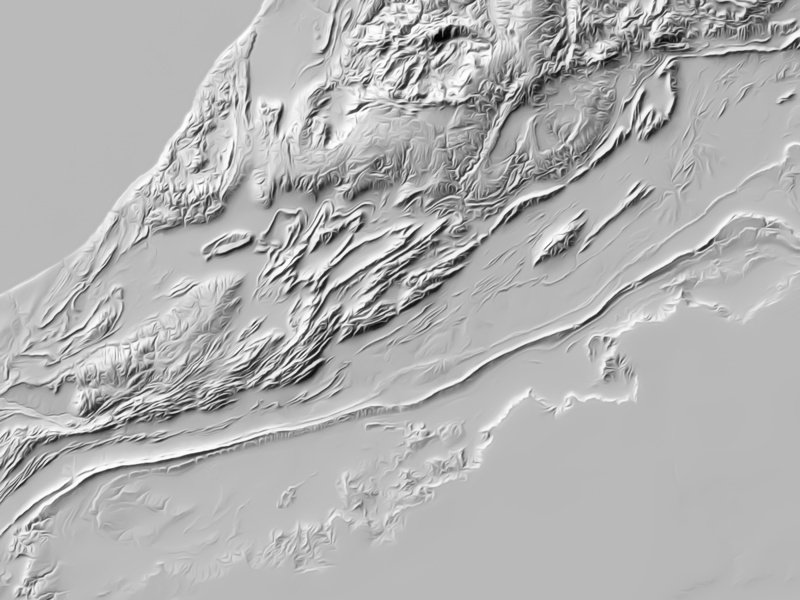 If on the other hand you take the actual relief shape into account when generalizing the shading you get a much less biased result including those structures in the topography that are only poorly visible due to shading parameters chosen. The difference is often fairly subtle but for example if you have valleys oriented in lighting direction side valleys can easily bled across these with the old approach and thereby obscure the main valley (left). This is avoided with the improved method (right). Hachures are a technique for relief rendering that went nearly completely out of fashion in the last decades. It was however also the first widespread non-figurative technique for relief depiction in maps and this way can be said to have built the foundation of all modern relief rendering. 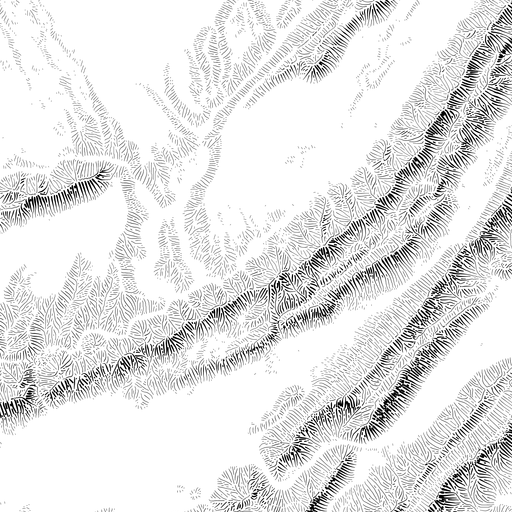 They dominated topographic maps throughout most of the 19th century. 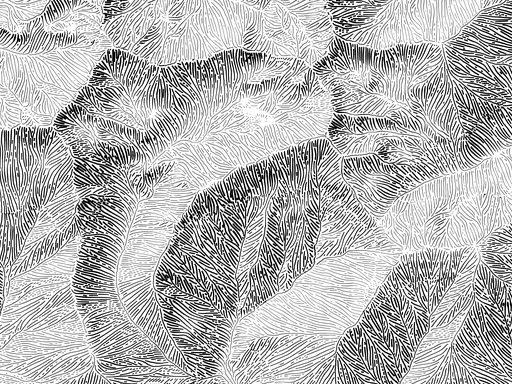 Hachures work fairly well on high resolution black and white print applications with no rendering of gray tones. They on the other hand work only poorly on low resolution output like computer screens. 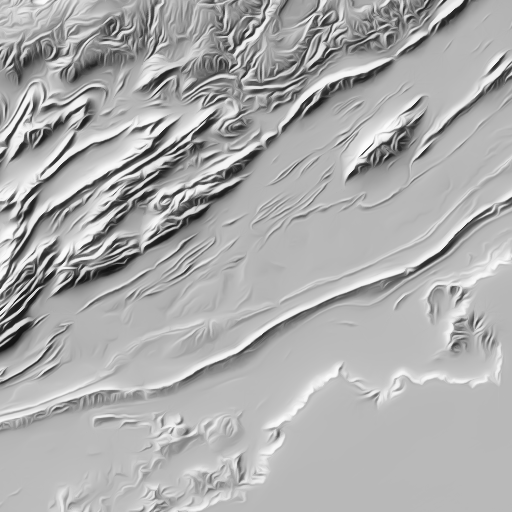 I developed a technique for generating hachures from digital elevation data several years ago but never put them into a specific application so far. Here is an example. 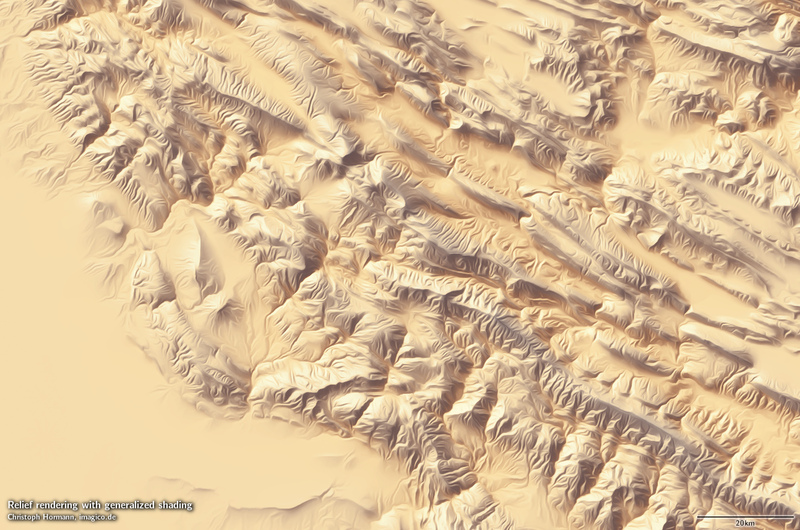 Such relief depiction is very different from both shaded relief and contour lines renderings. 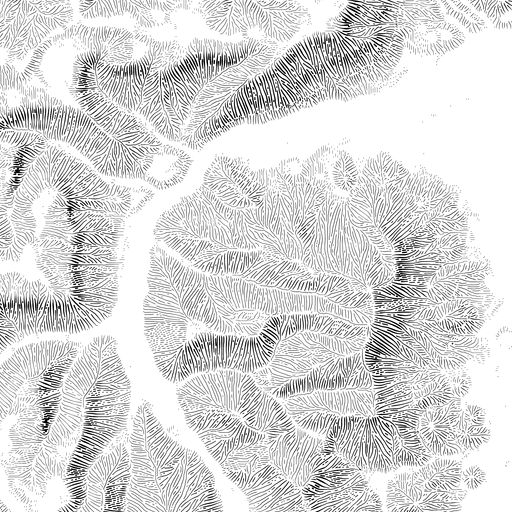 In practical application hachures have the advantage of being usable over a much larger range of map scales than contour lines. 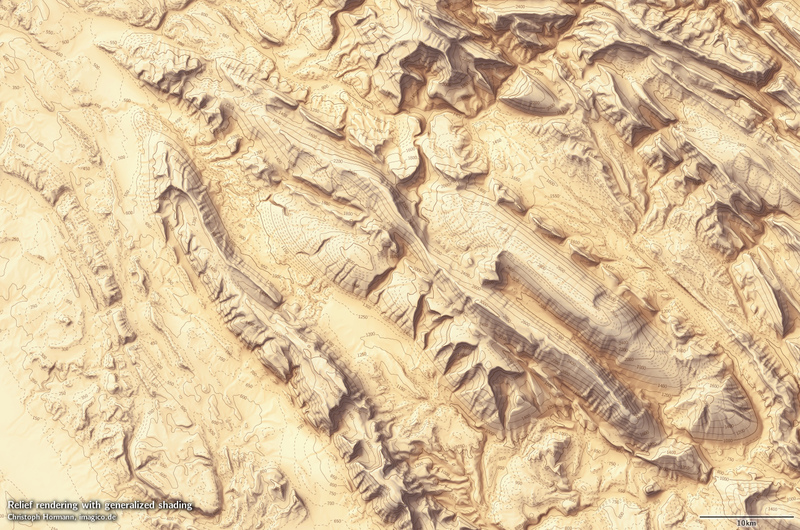 Compared to shaded relief rendering they are a more abstract, somewhat cartoon like form of visualization. 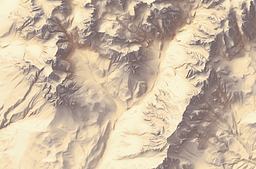 The examples here feature a fairly weak shading effect by modulating the thickness of the hachures – you can however also use hachures without shading at all making them fully agnostic towards orientation of terrain features like contour lines. 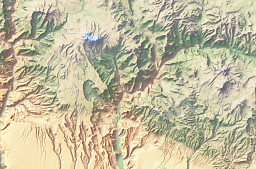 Another advantage compared to shaded relief is that the amount of detail that is depicted in a hachure rendering can be adjusted over a much larger range. If you remove a lot of detail from a shaded rendering viewers tend to loose the 3d impression because depth perception of shaded geometries depends a lot on structures and their relation to each other. 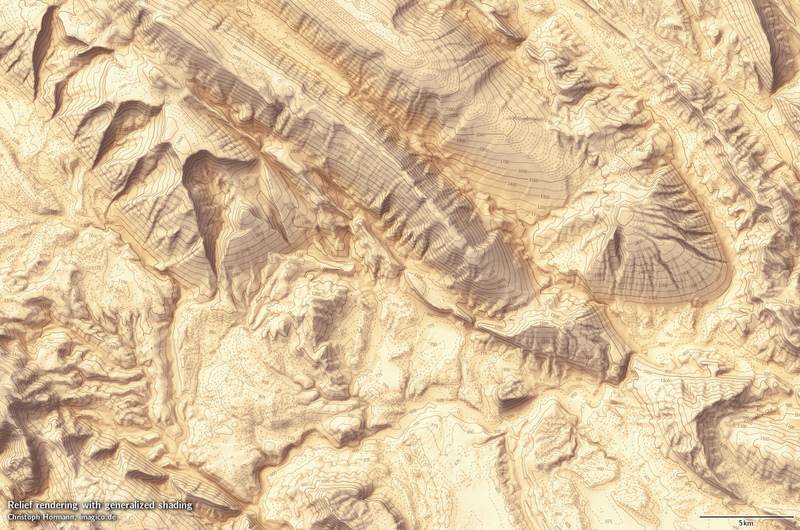 Hachures do not have this problem since they depict the terrain more explicitly. 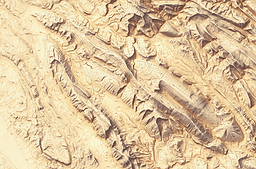 my name is Pedro and i’m interesting to use hachures techniche in my maps using Terrain Tools in ArcGis. I would to know what software you use or the simbology and parameters to obtain this effect. Thanks so much. hachure renderings are produced using a custom technique that is not currently available for others to use. I could offer to produce hachure renderings for you – contact me via mail if you are interested.